The perfect choice for advancing players. 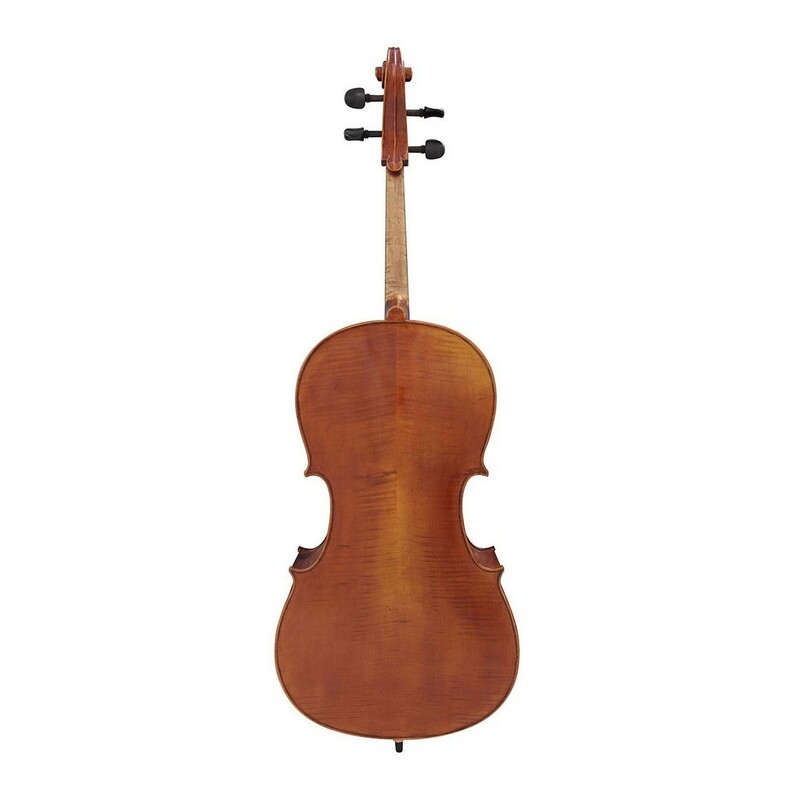 This Hidersine Veracini Cello is a stunning instrument, capable of taking players to the highest grade and beyond. The beautiful hand-carving of each part of the instrument creates a sonically rich core with a full and mature tone, ideal for an accomplished ensemble performance. 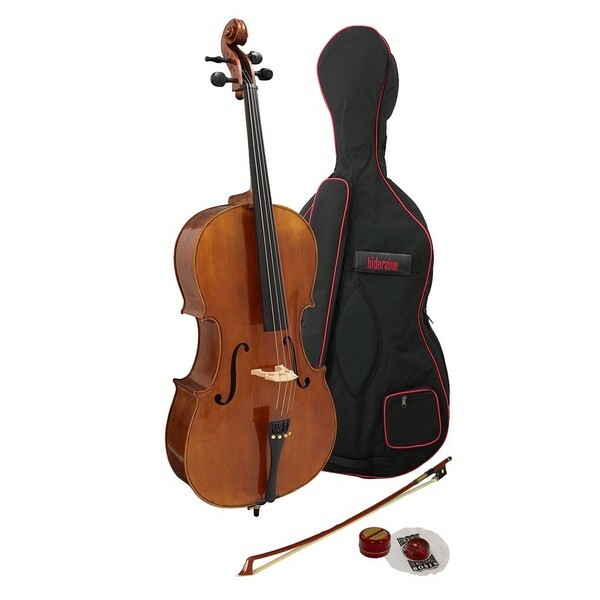 This outfit includes a fully-mounted bulletwood bow with ebony frog, Hidersine rosin, and a padded gigbag/carry case with bow pocket and accessory pocket. Hidersine Veracini cellos benefit from a genuine ebony fingerboard and chin rest. This hardwood has traditionally been used for hundreds of years due to its truly long-lasting properties. Genuine ebony doesn't mark, pit or wear out under lengthy playing periods. Ebony should remain structurally intact for a very long time, and it will also feel smooth on the fingers and chin, helping make the playing experience more all round enjoyable. Hidersine Veracini cellos use seasoned maple for the bridge. When a tonewood such as maple has been seasoned, it infers that the timber has been stored in a controlled environment for a reasonable period. When wood is initially harvested, it has a high moisture content, which over time will evaporate. This lowering of moisture content is one of the most important parts of the seasoning process, and as the wood is formed into the bridge, it brings with it a new natural state for the material. The new natural state allows the wood fibres to settle into a more combined whole and will transmit vibration and resonance more effectively. Therefore, the string vibrations are carried through the bridge to the sound-table more authentically, which will result in further improvement of the tone of your cello. Hidersine Veracini cellos use quality steel strings as they're the most stable and durable of all cello strings. They produce a brighter, thinner, and more focused sound, whilst offering stable pitch and the highest volume. Your new Veracini will be supplied as an outfit, meaning it comes complete with everything you need to get started. The outfit will include a case, bow, and some rosin. 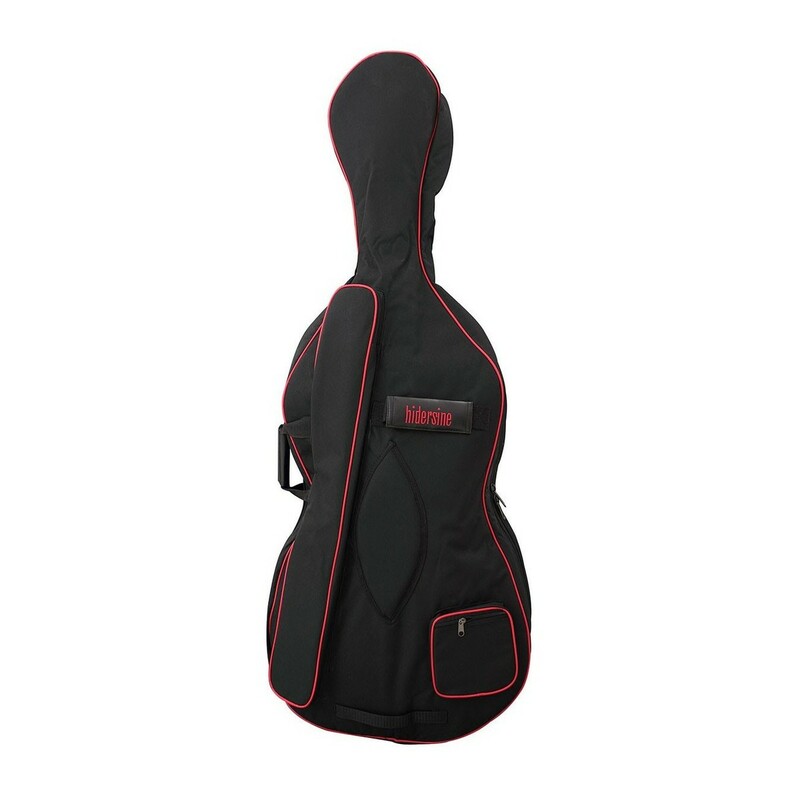 The padded gigbag/carry case will provide maximum protection, along with an external bow pocket and accessory pocket. The bulletwood fully-mounted bow with ebony frog is of highest quality. There is a smooth metal plate between the frog and the bow stick, allowing a smooth fit and protection for the wood as it slides back and forth as the bow is tightened and loosened. This means that not only will the bow assist in producing a superb tone, it will also perform its role for a long time to come. The form of your Hidersine cello is the result of genuine hand-carving techniques. Not only have the intricate curves of the top, back and ribs been carefully tooled, but the neck and the beautiful head have also been skilfully crafted. Luthiers have been passing their immense skill down the line for centuries, and in the case of Hidersine Venezia instruments, the skilled hand-carving techniques can be truly appreciated.